This real life story wherein a married couple heard that their baby’s crying all of the sudden. They were worried and ran directly to the room where their baby was sleeping. A big heart- warming view waited for them when they entered the room. 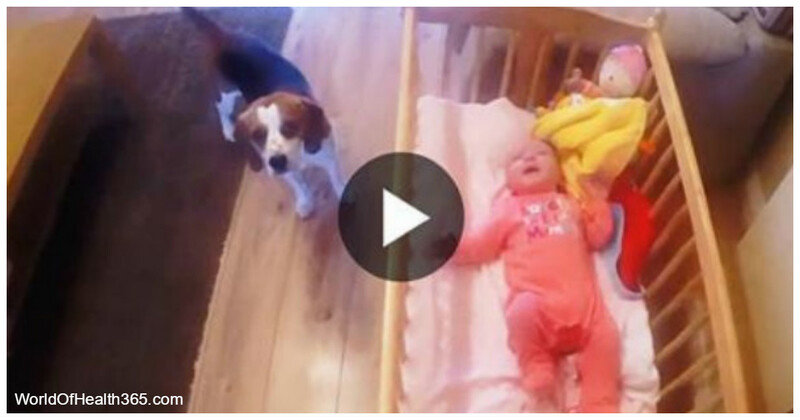 Their little dog was standing next to the baby’s crib. His name is Charlie and he replaced the newborn’s parents in calming him down. He was delicately swinging the baby’s crib just like his parents would.